Round 2 of our Best Hole in the Wall Restaurants is available as well! When we set out on this crazy restaurant reviewing adventure our goal was to help our readers find great small local restaurants that are flying under the radar in Jax. Now that we’ve reviewed 70 or so restaurants we think it’s about time we came out with our first list of great hole in the wall restaurants Jax. We intend this to be an ongoing set of hole in the wall articles which we’ll add to periodically. The restaurants on this list are small local spots that have no more than one location and in most cases are flying under the radar. Chomp chomp – This restaurant seems to make every hole in the wall list anyone creates in Jacksonville. They do so for good reason. Chomp chomp is a tiny little restaurant located on East Adams street in downtown Jacksonville. They have two tables inside and two tables outside. They offer great gourmet sandwiches and other items hand written on a chalk board menu that changes daily. Their panko crusted chicken sandwich with balsamic and bleu cheese may just be life changing. Nini’s Pizza [Update: Under New Ownership] – Located on Penman road in Jacksonville Beach, Nini’s is a little Italian restaurant with 5 tables. Their pizza is solid and their rolls(like a Stromboli without the extra dough in the middle) and pasta dishes are great! Be prepared to take food to go since with only 5 tables they are prone to long wait times if you arrive at the wrong time. Ceviche Jax – We LOVE Ceviche Jax. It’s a little Peruvian Restaurant located in Atlantic Beach just off Atlantic Blvd. They make great authentic Peruvian dishes with love and care in a little nondescript strip mall location. These guys have around 8 to 10 tables and they never seem particularly busy. 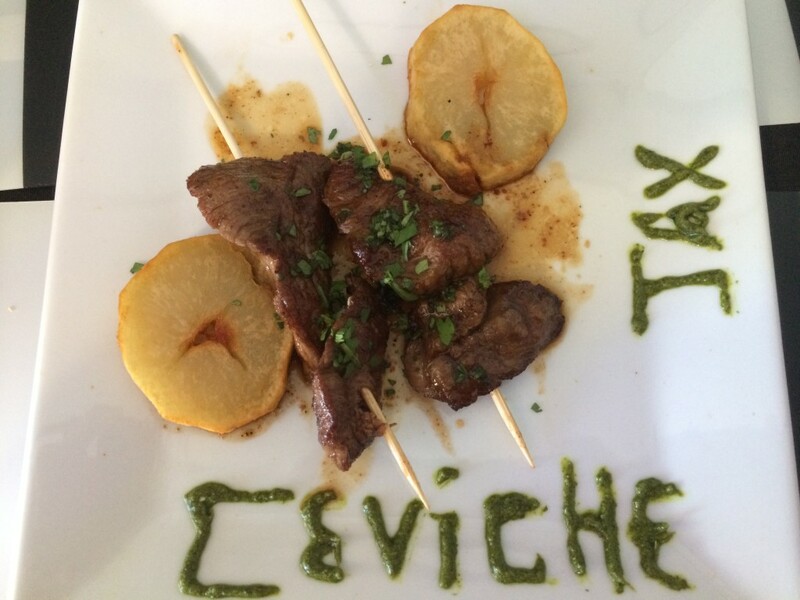 On our visit the ceviche was delicious and the other dishes we tried were all fantastic. Their menu is not Americanized at all which we appreciate. If you love good food you don’t need excellent authentic restaurants to dumb down the menu. You simply need the waitress to be your guide in selecting something you’ll like. On our visit the waitress did just that. If you’re looking for a food adventure this is one quaint little place you don’t wanna miss. 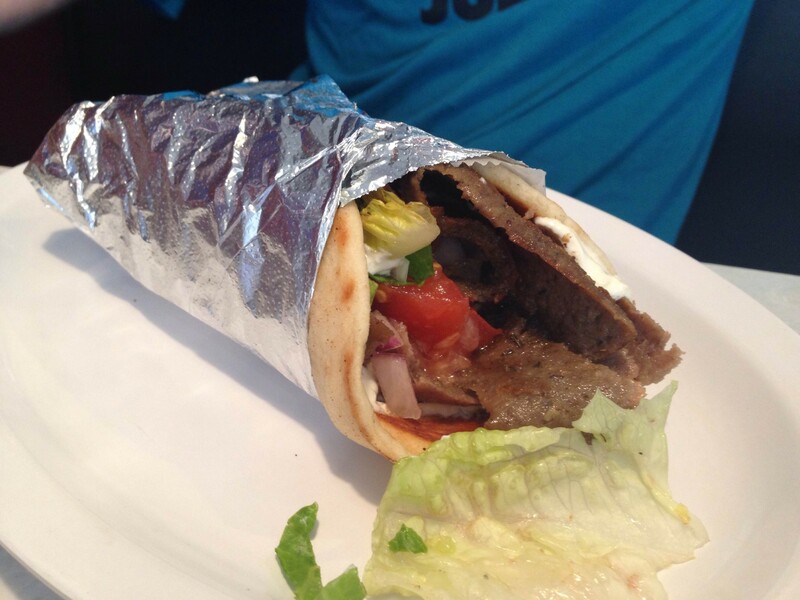 Nick the Greek [CLOSED] – Nick The Greek is a cool little Greek restaurant located in Mayport. Nick the Greek started up as a take out window with some picnic tables inside where you could sit and eat your take out order. Now it has morphed into one of the best Greek restaurants in town with sit down service and an expanded menu. Two of the folks who handle review writing duties for us grew up in the city of Tarpon Springs, sometimes called the Greek Capital of Florida. Since it gets their seal of approval we’re confident you’ll really enjoy it. Cafe Freda [CLOSED] – Cafe Freda is a neat little family run restaurant located in a nice older house in Riverside. The Freda family serves up global comfort food on an eclectic menu we think you’ll enjoy. 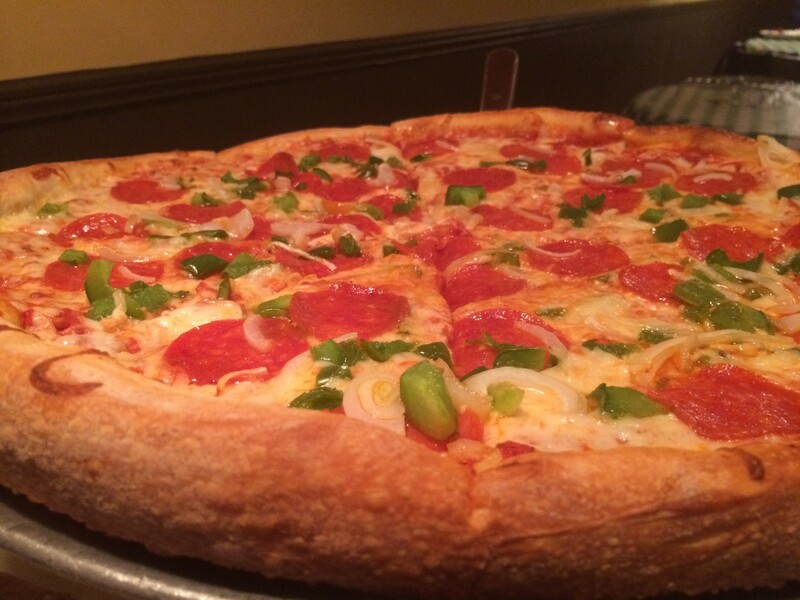 Paddy’s Brick Oven Pizza – Paddy’s is super hard to find. They’re located on San Jose boulevard directly behind a Krystal drive through causing the view of the restaurant to be completely obstructed from the street. Paddy’s has friendly wait staff, good prices, and really good pizza. 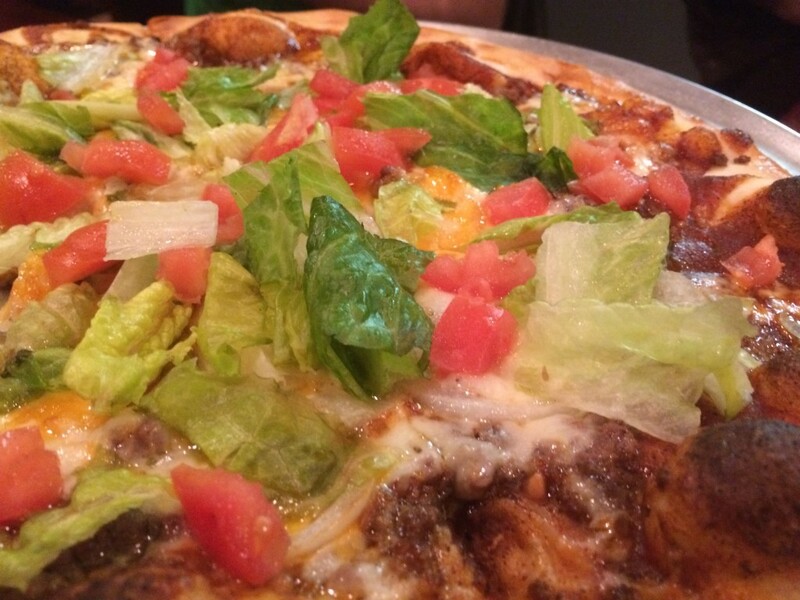 One of our big pet peeves is when a hamburger pizza tastes nothing like a hamburger or a taco pizza tastes nothing like a taco. At Paddy’s if they call it a taco pizza it will taste like a beautiful marriage between taco and pizza. Hamburger pizza? At Paddy’s it will really taste like a hamburger and a pizza combined. Check em out! How about Two Dudes, right across the street from Ceviche? It is the ultimate whole in the wall. Ceviche is sublime. The appetizers alone are enough of a meal. What blew me away is the corn kernels. Very Unexpected. You guys really did not do your home work. Most of these are yuppie haunts. We all would like to know a variety of locations through out our town. Cleo’s and Josephs Italian Restaurant, both of the north-side should be on this list; so should Treemendous Barbecue on the west-side. You really need to expand this tiny list. This is just the first in a series of hole-in-the-wall places. We’re always asking people for suggestions on Facebook and twitter. We’ll certainly add the three you suggested to our list. I agree! Cleo’s is the best!! And also Terry’s. 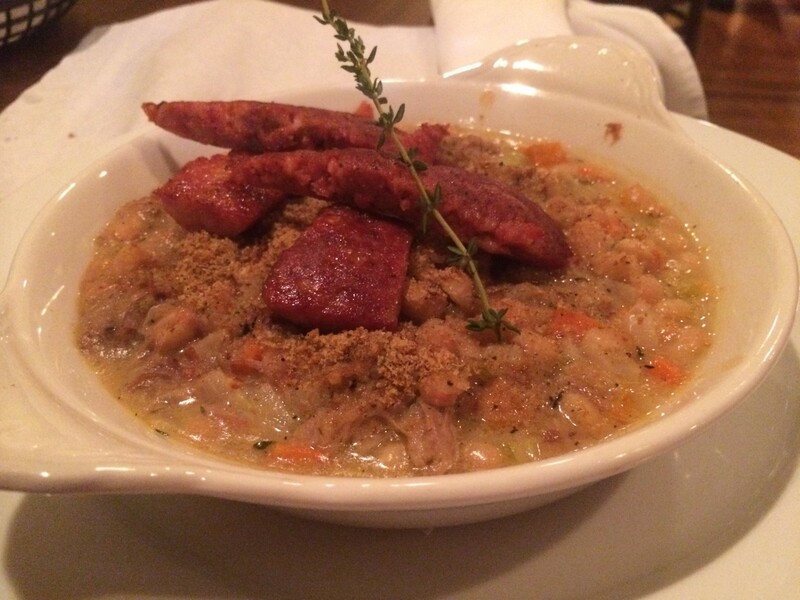 What about Chowder Ted’s in Northeast Jax? Everyone always tells me about Cleo’s. I don’t know I think it’s terrible it’s just a bunch of crouched chips under bad beef covered with way to much cheese then drowned in ranch dressing … Not good eats. No Harpoon Louies!?! Prices are great there and the head chef Graduated on the Deans List at the culinary school Johnson and Wales. They also have a couple vegan options. Ez Grill Halal Food on Arlington Rd has a great shrimp kabob over rice with a salad entree’ but I haven’t tried anything else yet. Also, EVERYTHING is amazing at Dex N Angie (DNA) on Merril Rd. Definately one of my all time favorite places.